Eminem may have lost out on the opportunity to collaborate with Black Sabbath guitarist Tony Iommi, but the rapper also gets to mark one down in the win column, as he's just won a lawsuit against a New Zealand political party. As previously reported, New Zealand's conservative National Party was accused of ripping off "Lose Yourself" for a 2014 campaign ad. A court apparently agreed, ordering the party to pay the equivalent of $525,000 CAD to Eminem's publishing company, the Associated Press reports. 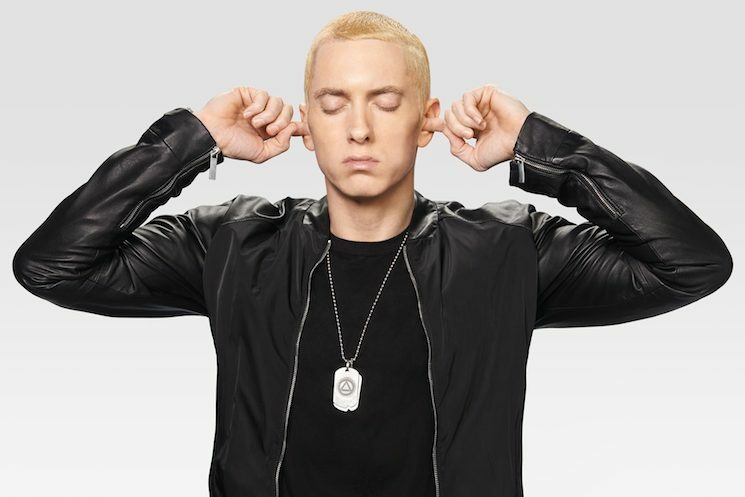 According to emails from the political party, it was well aware that the song it wrote was far too close to Em's hit 8 Mile single. The party's version of the song was even called "Eminem Esque." The National Party used the song 186 times in an election campaign that ultimately saw it win. Unfortunately, their winning streak is over now that the party has lost the court battle.